Countries along the famous river basin need to strengthen legislation and consider non-hydro alternatives amidst climate change threats, experts say. When the Se-Pian Se Nam Noi dam collapsed and killed dozens almost a year ago, the Lao government suspended the approval of new dams and begun carrying out impact studies for other dams that were in the pipeline. Early this year, the Mekong River Commission (MRC) drew up proposed impact mitigation and risk management measures for the Pak Lay hydropower project, the fourth of eleven projects planned in the lower Mekong river. However, experts still raised concerns over this project and the others, stating that another collapse should be avoided at all costs. Rapid economic development is placing pressure on Southeast Asian leaders to meet the burgeoning energy demand, and many of them are turning to hydropower for their needs. However, like Laos, many of these countries do not have enough safeguards to mitigate risks and prevent another fatal disaster. Julian Kircherr, expert, Global Water Forum, said that the safeguards’ situation in neighbouring countries is as worrying as the situation in Laos. If another collapse is to be avoided, Kircherr said that there must be an immediate ramp-up in safeguard monitoring and enforcement. 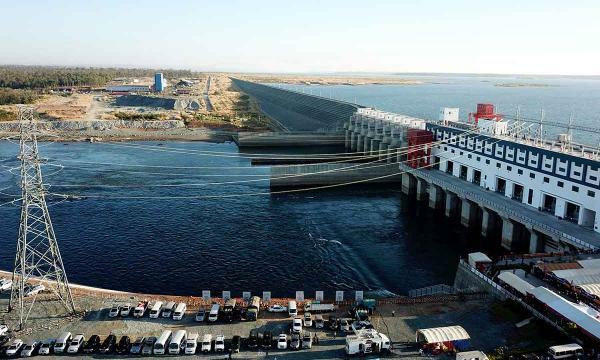 “Regional governments are considering the construction of 88 more dams in the Lower Mekong River basin by the year 2030. Over 120 dams are planned for the tributaries and 11 large-scale hydropower dams are slated for the Lower Mekong mainstream, which has the potential to produce over 13,000MW of hydropower,” analysts at Open Development Mekong said. With climate change looming in the background, several questions continue to be raised as to the sustainability of renewable energy, particularly hydropower. The Hindu Kush Himalaya (HKH), which serves as the origin of 10 river basins in mainland Asia, is facing multiple threats from urbanisation and overpopulation as well as short-lived climate pollutants such as black carbon. Eklabya Sharma, analyst, International Centre for Integrated Mountain Development (ICIMOD) said that black carbon is being emitted by surrounding regions, where dirty energy sources are in abundance, despite per capita fossil fuel emission from the HKH countries being one-sixth of the global average. To mitigate the risks of climate change, the HKH needs more comprehensive and integrated strategies for the long-term. Yanfen Wang, professor, University of Chinese Academy of Sciences, said that policy approaches must become more holistic and multidimensional, and must also promote transboundary cooperation and encourage the development of mountain-specific responses by government policymakers. Southeast Asia has become even more prolific in its energy deals with China, twenty years since the latter embarked on a massive damming project in its own territory. To this day, China is considered the world’s number one dam builder, with Chinese banks and companies involved in 334 hydropower projects in 74 countries, data based on a University of Nottingham Ningbo China study show. Main beneficiaries in the region include Myanmar, Laos, Cambodia, and Vietnam. “Whilst Thailand and Vietnam have already developed most of their tributary sites, Cambodia, Laos and Myanmar currently possess the greatest potential for hydropower resource development, and by the year 2030, they’re expected to reach a combined percentage of hydroelectric generation of 96%,” analysts at Open Development Mekong said. However, experts caution that these projects come with huge environmental and social costs that cannot be offset by the benefits of greater access to electricity. Ethnic groups living along the Irawaddy river in Myanmar seem to have understood this. One of the biggest hydropower projects to ever land in the country, the Chinese-funded US$3.6b Myitsone dam, was first suspended in 2011 but continues to be in question amidst threats to the Irawaddy river. Pressures are mounting as both countries decide on what to do with the Myitsone dam, protested by all ethnic groups living along the river. Local backlash against China-backed projects is also increasing across Southeast Asia, according to Ren Peng, expert, Global Environment Institute. Whilst Western countries and Japan focused on a two-pronged approach to building hydropower projects, Chinese developers seemed bent on building their dams with little to no regard for local life. Somehow, the local voice is having an impact on some of these projects and making China re-think its propositions. 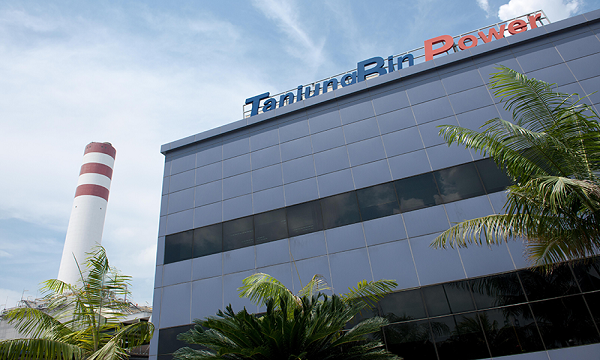 For instance, environmental concerns raised against the Batang Toru hydropower project in Indonesia led the Bank of China to re-evaluate its funding commitment. The bank said that it will make prudent decisions by duly considering the promotion of green finance and the fulfilment of social responsibility as well as the adherence to commercial principles. With the collapse of the Se-Pian Se Nam Noi dam, the safety of hydropower projects has also been looked at more closely over the past months. For China-backed projects, analysts have seen improvements over the years. Kircherr and his colleagues did a study on Chinese dam developers in Laos, which account for at least 50% of the global hydropower market. According to them, Chinese dam developers’ adherence to safeguards has significantly improved over the years. However, 57% of their survey respondents still judged safeguard performance in Laos to be poor. The entire Mekong Basin produces 2.6 million tonnes of freshwater fish catch every year, way more than the 450,000 tonnes of the total wild catch from North America’s lakes and rivers. The basin supports more than 60 million people living in and around it, and the Tonle Sap Lake in Cambodia alone produces 500,000 tonnes of annual freshwater fish catch. Brian Eyler, director, Stimson Southeast Asia said that these numbers are threatened by the ongoing construction of and future plans for hydropower and irrigation dams upstream in Cambodia, Laos, Vietnam, and China. “In Cambodia alone, the connectivity of the country’s 11,000 kilometres of the Mekong/Tonle Sap river system has already been reduced by 31% by the construction of two hydropower dams and six irrigation reservoirs. The improper siting of dams on Cambodia’s tributaries would reduce connectivity by more than 60%, and mainstream dams at Sambor and Stung Treng would cut the Tonle Sap’s connection to most of the Mekong River system,” Eyler added. With rising electricity demand, hydropower projects are an inevitable part of the bigger energy mix. Eyler said that hydropower will and should play an important role in Cambodia’s future energy mix, but there is a need for system-scale planning methods that can be used to sire and operate future dams with minimal to no impacts on Tonle Sap connectivity. Furthermore, Eyler added that authorities should also explore other sources of energy, such as solar, wind, and biomass that would lead to a more diverse and resilient energy system. “A driving factor behind hydropower development in Cambodia is the country’s rapid electricity demand growth, which has averaged 20% since 2010. In 2011, Cambodia’s installed capacity stood at just under 800 MW and was entirely supplied by hydropower. All additional demand was met by imports from Vietnam and Thailand and off-grid diesel generation which is found in ubiquity throughout Cambodia’s urban and rural areas,” Eyler added. Meanwhile, Laos can also look into approximately 8,800MW of solar potential and another 2,200MW of high-quality wind potential. Courtney Weatherby, research analyst, Stimson said that non-hydropower renewable options are gaining traction globally, with the prices of utility-scale solar and wind dropping 85% and 65% since 2009. According to her, Laos can definitely take advantage of the dropping prices of these energy sources and reconsider the makeup of its future energy mix. “Utility-scale solar price in the United States dropped 30% from 2016 to 2017, and bids on solar and wind plants around the world regularly set new records: since 2017, we’ve seen solar lows in the United States of 2.3 c/kWh, in India of 3.6 c/kWh, and the UAE at 2.94 c/kWh while Mexico signed a contract for wind at 1.77 c/kWh and Saudi Arabia saw bids as low as 2.1 c/kWh for its first onshore wind project,” she said. Laos and Cambodia can look at their neighbour Thailand if they want to learn how to maximise non-hydropower renewables. 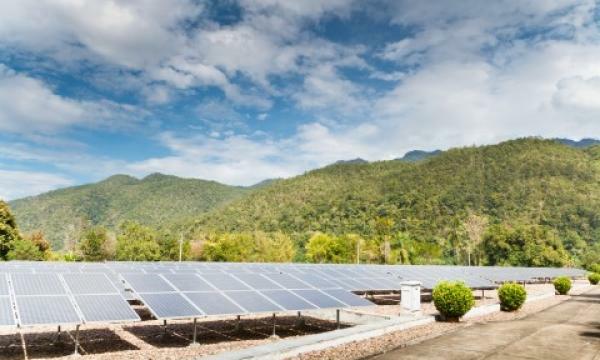 According to Weatherby, Thailand is in a leading position for new renewables in all of Southeast Asia with more than halfway towards its 2036 solar target of 6,000MW and one-fifth of the way towards its wind target of 3,000MW. “Thailand’s Ministry of Energy has already raised the 2036 non-hydro renewable energy target from an original target of 20% to 30% and has dropped a Feed-in-Tariff (FIT) that stimulated growth in the sector to only 7.2 c/kWh, which is close to grid parity pricing. Thailand’s adoption of clear policy has made a clear business case for investment, which is why Thai companies plan to invest $3.9b in non-hydro renewables in 2018,” Weatherby added. Furthermore, Weatherby said that since Thailand is out of the buying market, Laos can look to Vietnam, its only neighbour with the capacity to buy from Laos’s battery. At present, Vietnamese stakeholders are reluctant to purchase from hydropower due to the well-known impacts to agriculture and to the greater Mekong Delta region. “Thai company Impact Energy Asia is pursuing a 600MW wind farm in southern Laos, American company Convalt Energy is moving ahead with 300MW of solar and is in talks for up to 700MW more, and many investors are expressing interest in “floatovoltaic” solar plants that would sit on reservoirs in central and southern Laos,” Weatherby said.